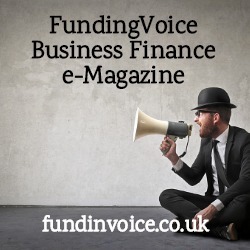 The February 2019 edition of FundingVoice magazine, our invoice finance, business funding and growth e-magazine, is now online to read for free. It is always best to subscribe to our mailing list get future editions straight to your inbox. We promise not to sell on your details and we only send you the magazine monthly, and the occasional alert if there is a breaking news story of significant interest. The price of single invoice finance, and the comparisons between different providers. Growth strategies that you could use in your business. How to save on your credit control costs. Alternative to pay and bill funding services, for recruiters. Ban on assignment law change. 2 funders that are exiting the UK market. You will find a link to all the back issues of FundingVoice magazine here including this particular edition. Looking at the readership statistics during the day or so since publication, there has been an increase in the number of readers clicking through to our articles this month. It is the article about growth strategies that you could use in your own business, that has attracted the biggest interest, followed closely by the article about the price of single invoice finance.